We are pushing through the last 4 weeks of winter with a special in-store treat! Our friends at Nescafé are offering Sorbet guests a chance to sample the NEW Nescafé Gold Salted Caramel Cappuccino while enjoying their treatment! 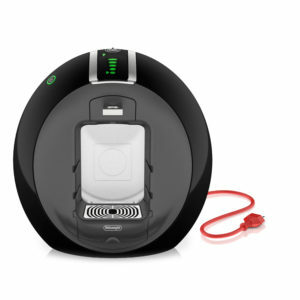 PLUS stand a change to WIN 1 of 3 Stylish Dolce Gusto Coffee machines worth R2500 each! 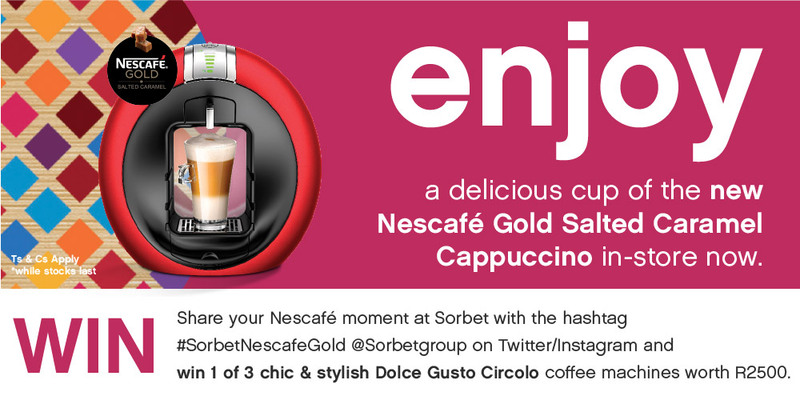 Here’s hows it works: Enjoy a cup of NEW Nescafé® Gold Salted Caramel Cappuccino in store, share your pic of your Nescafé Cappuccino moment, post your photo to @Sorbetgroup on Twitter/Instagram with the Hashtag #SorbetNescafeGoldWeek and you could walk away with a new coffee machine! Nescafe sampling will only be available for the month of August.